We are proud of our diverse and distinguished Board of Advisors. They are leaders in their fields across the United States, with backgrounds ranging from biology/ecology, horticulture, agribusiness, farmworker advocacy, and pesticide safety education. This new resource offers terms and definitions in English and Spanish that are commonly used in pesticide-related occupations. Now available in Spanish: How to Comply Manual, Respirator Guide, and WPS Ag Employer Handbook... and more! Get your copies today! These short HD video clips will be perfect for jazzing up your WPS training presentations. PERC now has a growing library of images for use in your presentations, manuals, and more! This web-based course provides the information required to train those who will train agricultural workers and pesticide handlers under the U.S. EPA Worker Protection Standard (WPS). It is self-paced with 12 modules, quizzes, and a final exam. The course costs $35.00, and requires 2-3 hours to complete. You must check with your state or tribal pesticide regulatory agency for possible additional requirements. This manual will be helpful to agricultural employers and commercial pesticide handling operations as the newly revised regulation goes into effect (partially) on January 2, 2017. This collection has videos, booklets, flip-charts, and presentations for official (EPA-approved) WPS training. 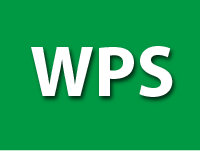 For a wider collection, see our Inventory of WPS training materials. Spanish-language training materials are now available in English and Spanish. This guide will explain the new requirements for agricultural employers and pesticide handlers when pesticide labels require the use of a respirator. Under the WPS, specific information must be available to agricultural workers and pesticide handlers at all times during their working hours. Visit our Central Posting Materials page to download the updated posters.